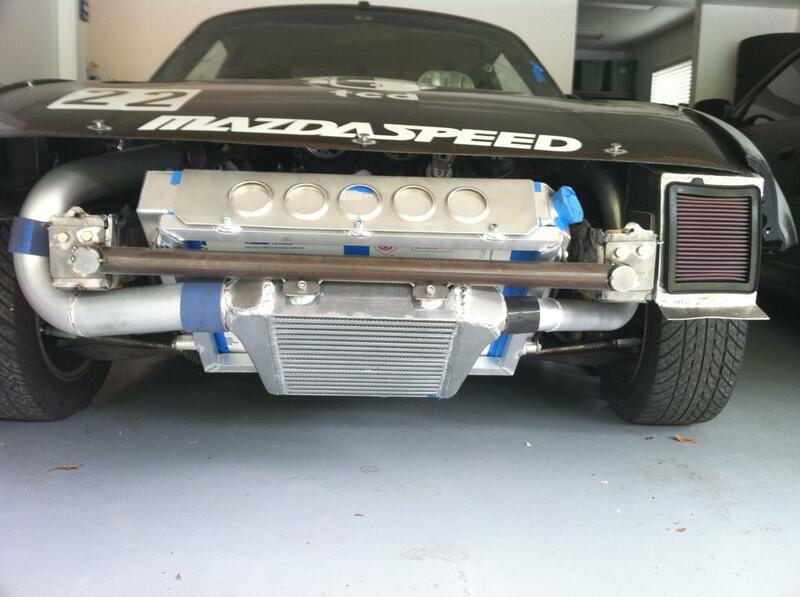 Track prepped Rotrex Supercharged Miata - Page 3 - Miata Turbo Forum - Boost cars, acquire cats. 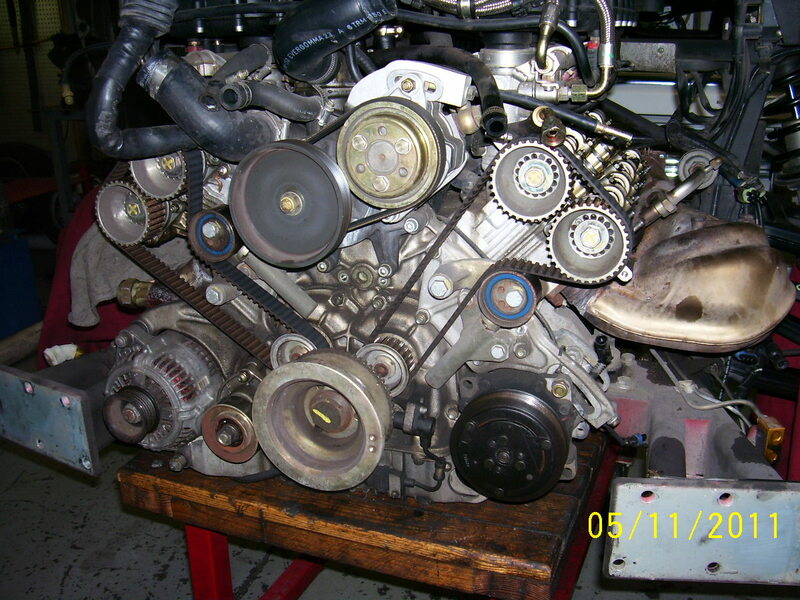 How is pressure being relieved from the crankcase when the engine is in boost? Good question. 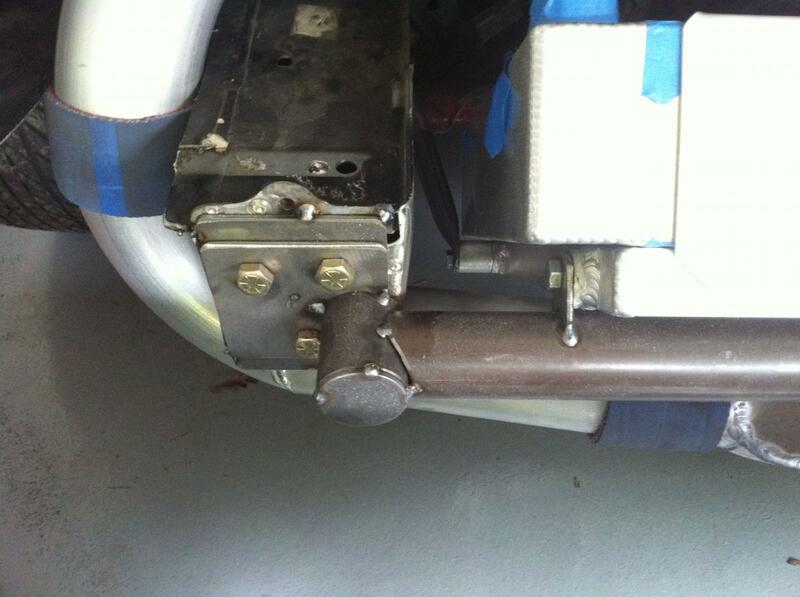 I assume it's being pushed out the open vent on the drivers side of the valve cover. That's the first think I noticed when I looked at the engine photo. There's something entirely fucked up and wildly appropriate about a Ferrari engine sitting on an old, greasy wooden rolling dolly. ZOMG! that's win. Such a shame it's torqueless. You're right, it should be in the ******* dumpster. Stepping up the game a bit with some AST5220's. 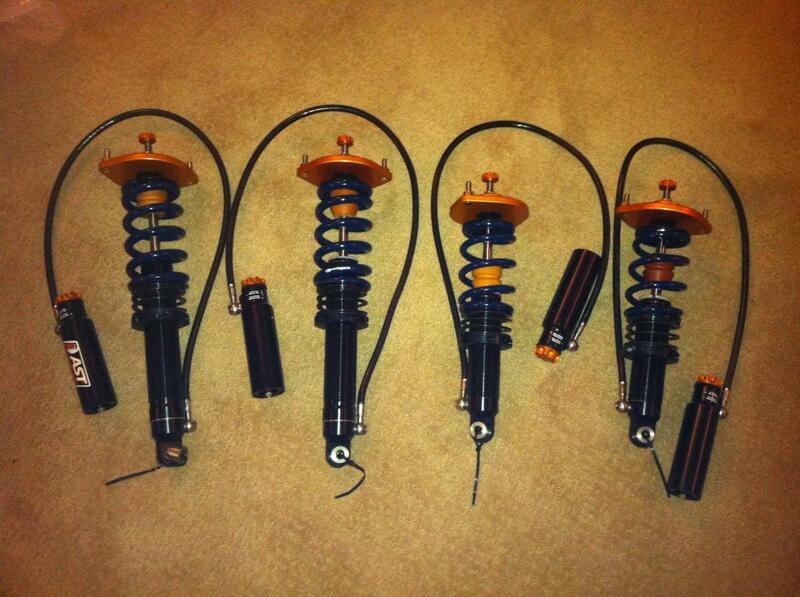 After selling my Koni Race suspension the total out of pocket was 2k. Too good of a situation to let pass so I jumped on it. The car worked so well with the Koni Race setup I was reluctant to make the change. I opted to keep the spring rates the same as before (850/500). This should make for a well controlled test since it's the only thing being changed. I added the zero rate helpers after the purchase. Why didn't you do tender springs instead of zero-rate helpers? That is a can of worms I would rather not open. I looked at the pros and cons of each then ran it by Tony. We arrived at the same conclusion. Not sure if it was for the same reasons because I did not ask. The scary part of the change is the possibility of going backwards. This thing worked so well with the previous suspension Dean felt I maybe making a mistake changing it. When I bought the car I asked Tony what would be the one thing he would like to change. He said the suspension with AST/Xida. Got to say you played a role in pushing me over the edge. My goal is to make it a ST2 class winner. Track record at Thunderhill for ST2 is a 1:50.8 using the bypass. Assuming the bypass is worth 2 seconds we are within 1-2 seconds of it before this last round of changes. It's all about the free HooHoo's. Last edited by k24madness; 05-02-2012 at 11:52 PM. New motor with forged internals, 11:1 CR, E85, Ported head, ATI Damper, oversize supertech valves, Supertech SUB, custom web cams and supertech heavy doubles. Rebello ported the head and assembled the motor. Trackspeed supplied the supertech valve parts. 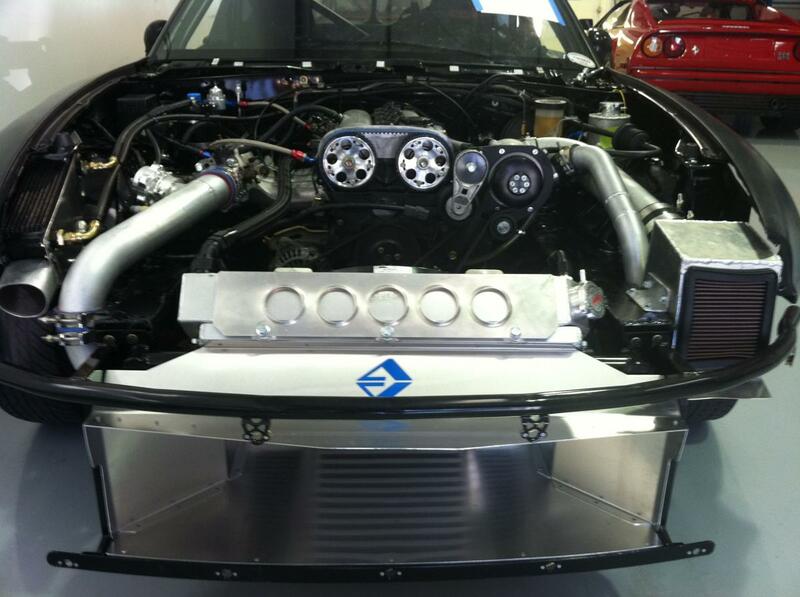 I spec out the cams, Tony at TC Design fabricated the plumbing, Intercooler, radiator mounts, air filter housing, Skunk 2 intake and tuned the car. Last edited by k24madness; 11-25-2013 at 02:39 AM. Looks like somebody wants to race from a roll. It's not a autocross car. 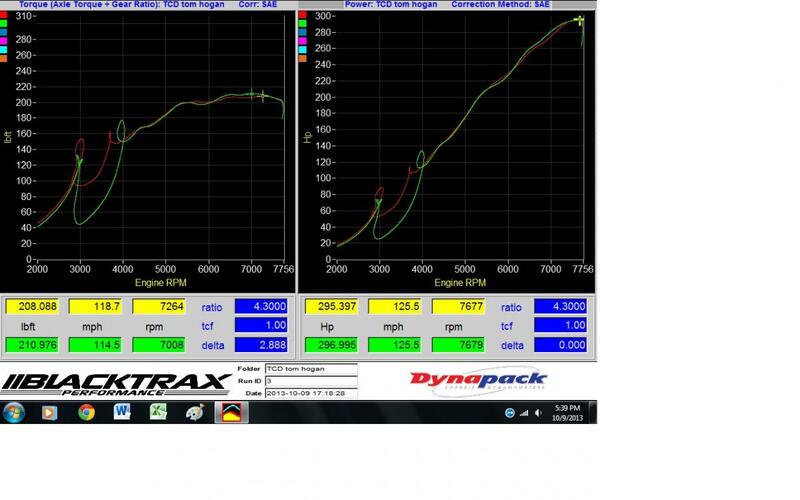 It's a ST2 car that lives between 5,200 and 7,700 RPM's. With 4:10's and 6 speed it always in the meat of the power band. What's with the loopy plot in the lower rpm? I haven't seen that before. I'd almost guess wheelspin.. The loops are gear changes. The light 5.5" unsprung carbon Tilton clutch is a PITA on the dynapac dyno. You can't really slip it underload and high gear.